The Precision Medicine World Conference (PMWC), celebrating ten years of operation, will take place at the Santa Clara Convention Center (Silicon Valley, California) January 20-23, 2019. This is expected to be the largest Precision Medicine World Conference ever, with 2,500 attendees. This amazing gathering of prestigious experts in multiple inter-related fields and those interested in learning more is co-hosted by UCSF, Stanford Health Care/Stanford Medicine, Duke University, Duke Health, and Johns Hopkins University. The program will cover innovative technologies, thriving initiatives, and clinical case studies that enable the translation of precision medicine into direct improvements in health care. 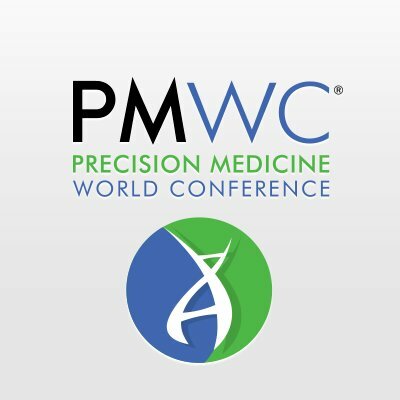 Conference attendees (https://www.pmwcintl.com/about/#audience) will have an opportunity to learn first-hand about the latest developments and advancements in precision medicine and cutting-edge new strategies and solutions that are changing how patients are treated. The conference’s five-track program will include sessions on the following major topics, among many others: AI & Data Science; Clinical & Research Tools; Clinical Diagnostics; Creating Clinical Value with Liquid Biopsy ctDNA, etc. ; Digital Health/Health and Wellness; Pharmacogenomics; Emerging Technologies in Precision Medicine; Immunotherapy; Large-Scale Bio-Data Resources to Support Drug Development; Rare Disease Diagnosis; and Wellness & Aging. Conference organizers have assembled a hugely impressive lineup of 450+ highly regarded speakers, featuring pioneering researchers and authorities across the healthcare and biotechnology sectors (https://www.pmwcintl.com/2019sv/speakers/). The conference will begin with the presentation of the PMWC’s prestigious Luminary & Pioneer Awards (https://www.pmwcintl.com/2019sv/awards/). The PMWC Luminary Award recognizes recent contributions of preeminent figures who have accelerated personalized medicine into the clinical marketplace. The PMWC Pioneer Award is given to rare individuals who presaged the advent of personalized medicine when less-evolved technology and less encouragement from peers existed, but still made major advances in the field. This year, for the Luminary Award, PMWC will be honoring Carl June, MD (Director of Translational Research at the Abramson Cancer Center at the University of Pennsylvania), for developing CAR-T therapy (the world’s first gene-based cancer therapy); Sharon Terry (CEO, Genetic Alliance), for inspiring and leading the movement to build systems for individuals to access and share health data; and Feng Zhang (photo) (Professor of Neuroscience, MIT), PhD, for playing a central role in the development of optogenetics and in CRISPR. For the Pioneer Award, the PMWC will be recognizing George Yancopoulos (Co-Founder, President, CSO, Regeneron), MD, PhD, for developing foundational technologies designed to invent ground-breaking therapies. The PMWC will be making Q&A interviews with the award winners available ahead of the meeting and the interviews with Dr. June, CEO Terry, and Dr. Zhang are available now. You may find Dr. June’s previously released interview at this link (https://www.pmwcintl.com/carl-june-2019sv-qa/) and CEO Terry’s previously released interview at (https://www.pmwcintl.com/sharon-terry-2019sv-qa/). The first of a number of questions for Dr. Zhang and his response to this first question are provided here. Please go to the PMWC web site to review the remainder of the Q&A interview of Dr. Zhang, as well as the full interviews of Dr. June and CEO Terry, which were released earlier. To learn about the latest developments in precision medicine at PMWC 2019 and to meet and hear from the preeminent leaders of all the inter-related fields, please register here: https://www.pmwcintl.com/registration/?page_scroll=2019sv. If you are a patient advocate or in academia and cannot afford to purchase a ticket, contact team@pmwcintl.com or chat with them on the website - mention BioQuick News and they will do their best to assist you. Below is the first question asked of Dr. Zhang, with his response. First Question: What research are you and your lab focusing on and why, and what problem(s) are you trying to solve? Answer: Our overall driving goal is to improve human health, and we do this largely through the development of new tools to study basic biology and the discovery of novel therapeutic approaches to treating human diseases. 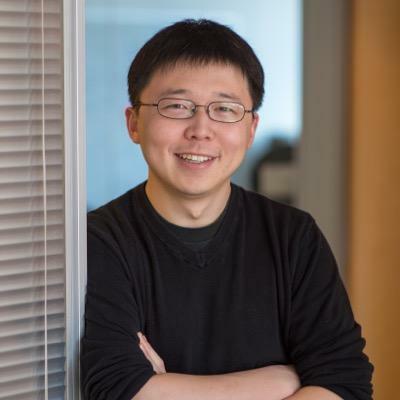 Please go to the PMWC web site to review the complete Q&A interview of Dr. Zhang (https://www.pmwcintl.com/feng-zhang-2019sv-qa/), as well as the previously released full interviews of Dr. June and CEO Terry.